One of my regular haunts is the Outer Banks of North Carolina, particularly Hatteras Island. 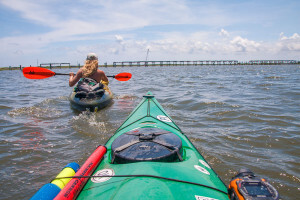 I first discovered Hatteras at the tender age of 18 months, arriving on-island via the shallow-draft ferry that precluded the now-obsolete Herbert C. Bonner Bridge, which was completed in 1962. The drive down Hatteras Island follows one route, Highway 12, the single two-lane highway that stretches from one end of the Outer Banks to the other. Highway 12 cuts a pretty straight line down Hatteras Island, and in some places the island is so narrow, you could literally throw a rock over the highway while standing in the Pamlico Sound and hit the ocean with it. 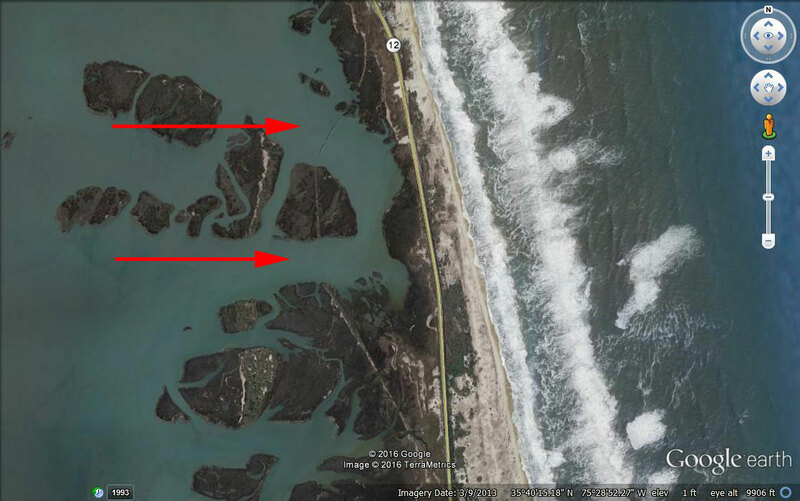 One of those narrow spots is through a section called Pea Island, which, while currently is not technically an island, historically was separate from the main Hatteras Island. During the 1930s, at the height of the Great Depression, a hurricane came through and cut two small inlets through Pea Island. At that time, a ferry brought cars from the mainland to the northernmost end of the island. These two new inlets made it impossible for the cars to continue down the island, so two small bridges were built to accommodate the traffic, which then continued down the island along the beach; at that time, there were no paved roads. Just a few years later, the inlets closed back up again, eliminating any further need for the bridges. But the bridges remained, decade after decade, and my early childhood trips were filled with fascination about the history of the bridge we could see from Highway 12 that ended abruptly in the middle of the water. A few years ago I had the pleasure of speaking with Ocracoke resident Corky Pentz, who told me his grandfather first arrived on Hatteras Island via a Model A Ford, which he drove over what is now known as The Bridge to Nowhere. 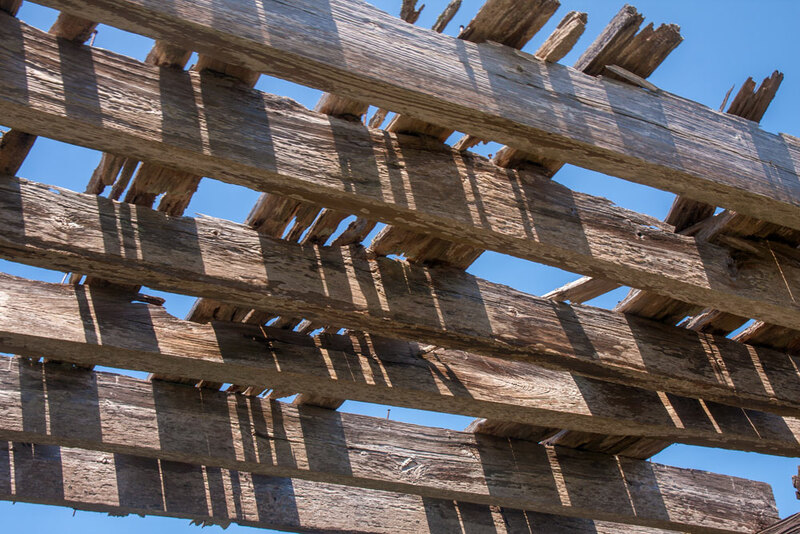 An up-close look at the bridge reveals some of the decking still intact. 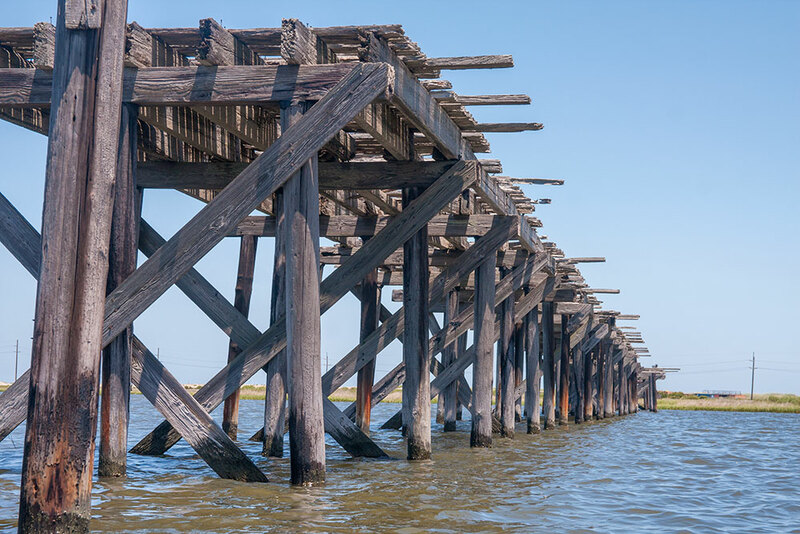 Here’s short video of a paddle through the remaining pilings of the smaller bridge section. Best pics of the New Inlet bridge(s) I have seen. Didn’t know there were actually two bridges until I read this. It will be interesting to see how the new bridge being built in this area will fare as the ocean continues to scratch away at the island. Thanks for posting this. That is awesome. I’ve always been fascinated with that bridge. 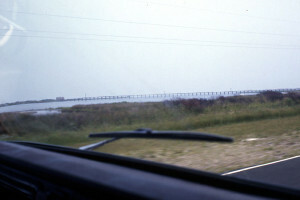 One day, someone will write something about the bonner bridge and perhaps the Lego bridge. I love that little sandbar! My dad took us to Hatteras Island for the first time in 1962. We drove from Philadelphia suburbs to Hatteras in an old VW Bug with myself, 1 year old brother, mom and dad. It turned into a family reunion location. Tower Circle Motel in Buxton was where met for decades and left me with the fondest memories of my life. Back then, you literally had the entire beach to yourself. My wife and I, aunt and cousin still meet there every summer. Now a house in Brigands Bay, Frisco. I had forgotten about your blog Mike. I was searching through old OBC posts and ran across the web address. This is great history! Thanks for sharing! My first time down here was surfing in about 1966, so a lot occurred both before and after my first visit. Stay well!